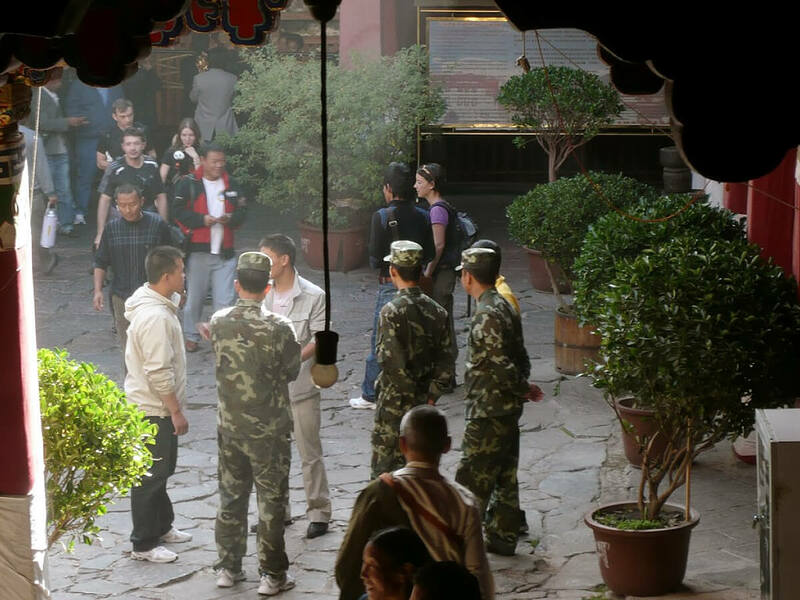 From the get go here’s the deal….Tibet has been under a military lockdown since the Chinese army invaded and occupied the country in 1950. 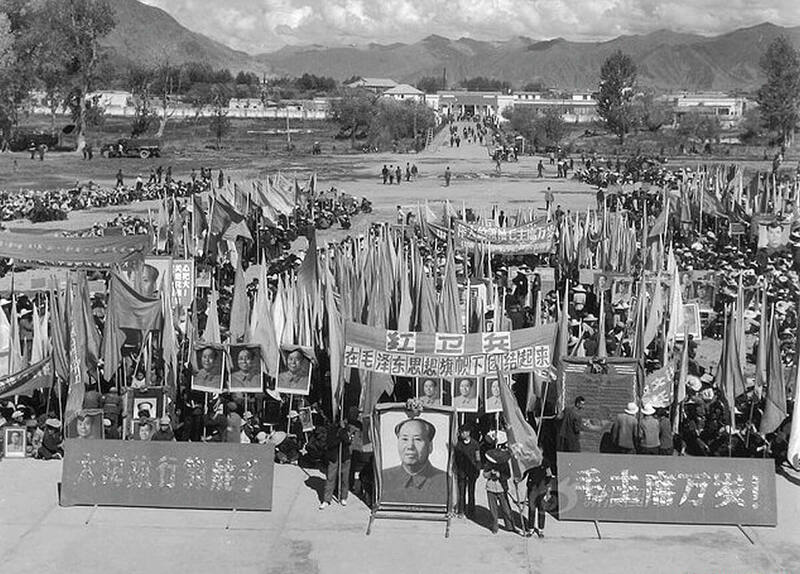 Since then the nature and intensity of oppression has gone through phases, but what has remained constant is the complete lack of cultural, religious and political freedom for Tibetans. 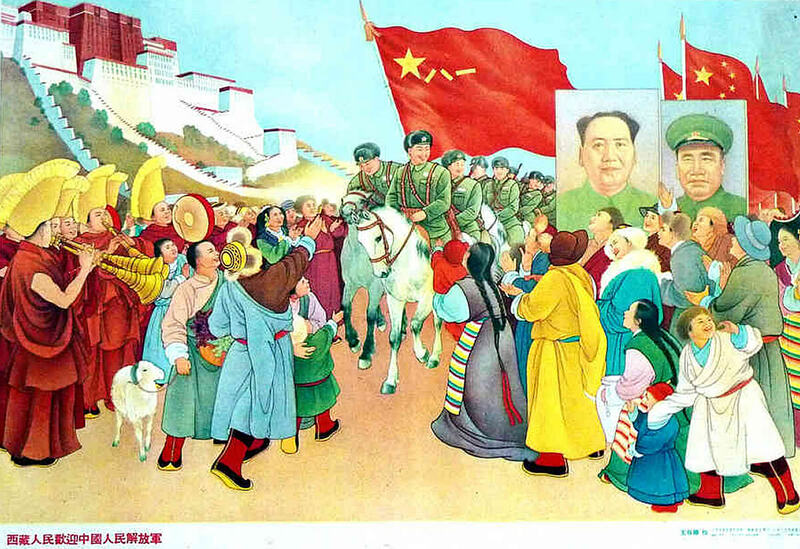 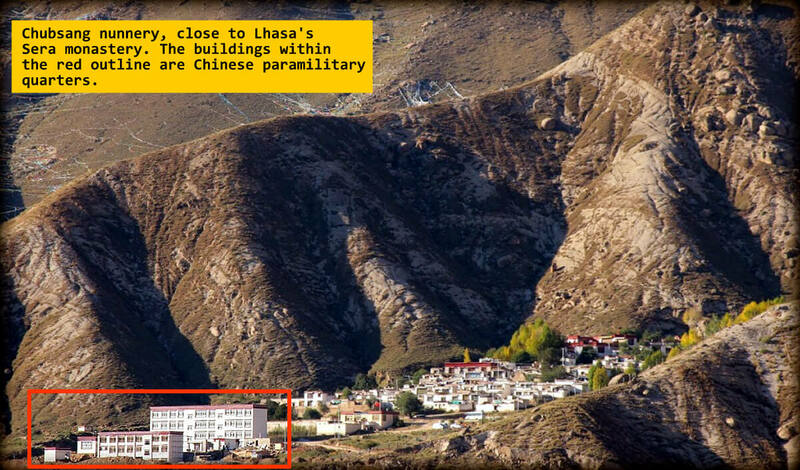 Ever watchful eye of the Chinese regime in Lhasa. 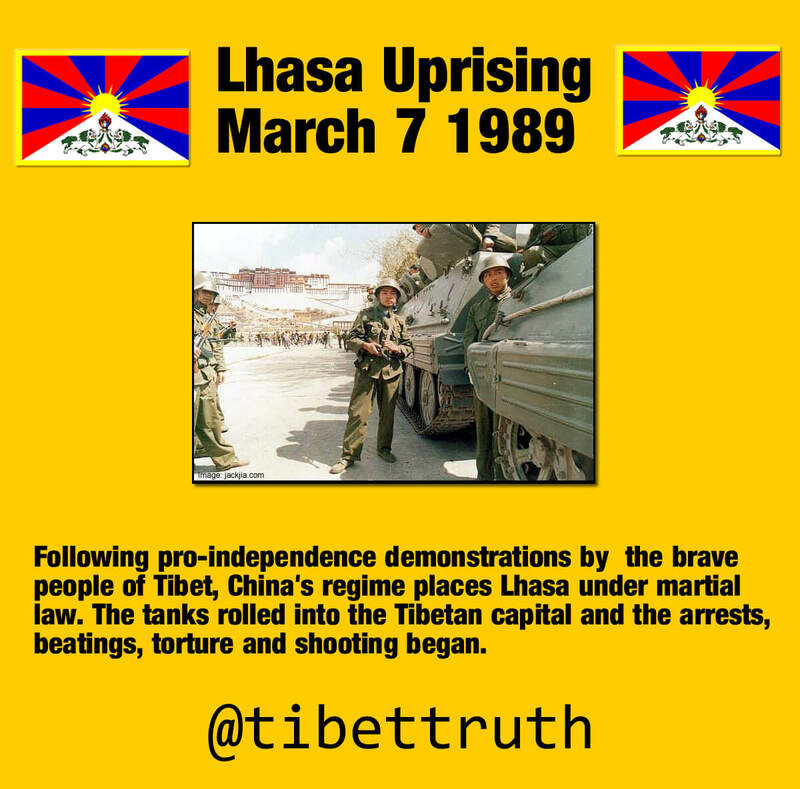 One particular trigger for changes to the tyranny imposed upon occupied Tibet occurs in March, when Tibetans recall the Lhasa Uprisings of 1959, 1989 and 2008. 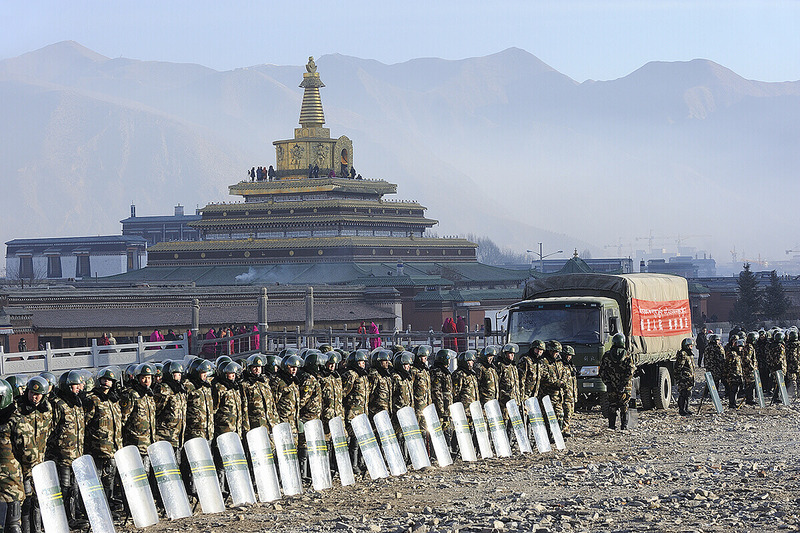 Despite assuring the world that Tibetans are content under Chinese rule, the authorities annually flood Tibet with additional paramilitary units. 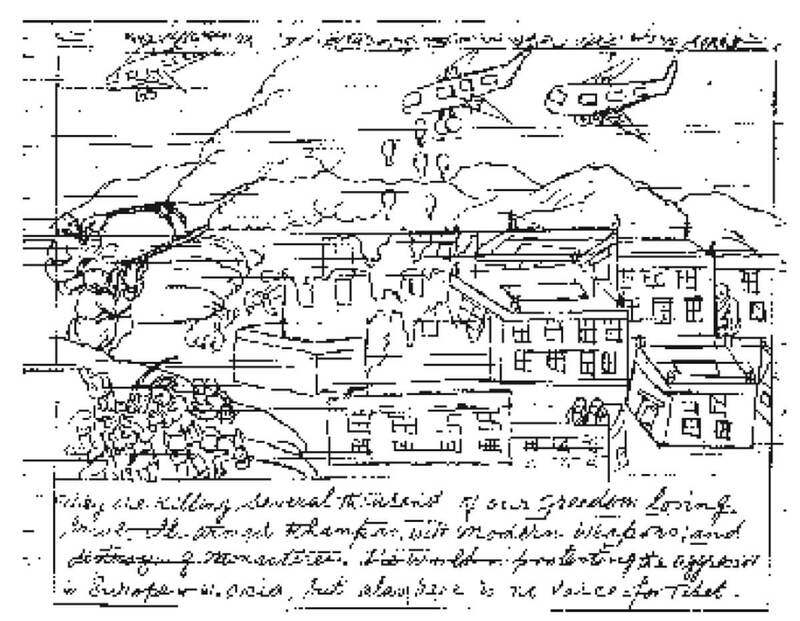 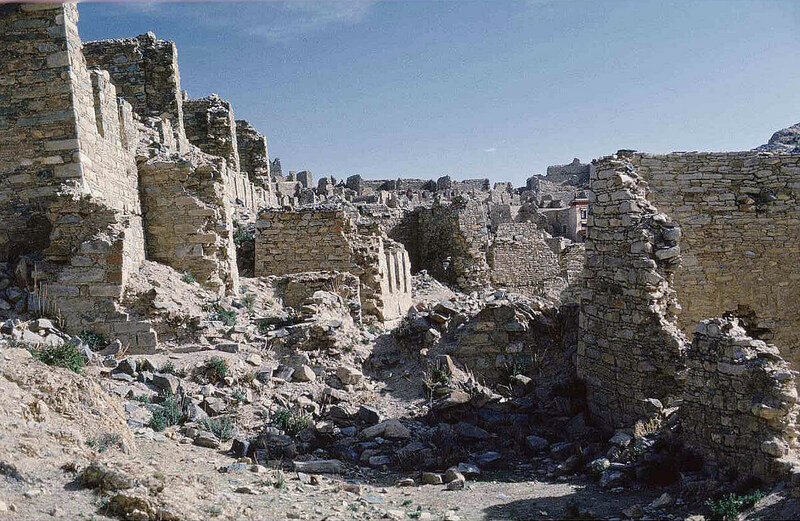 Armored-convoys and military check-points are increased, movement is restricted, and towns placed under siege. 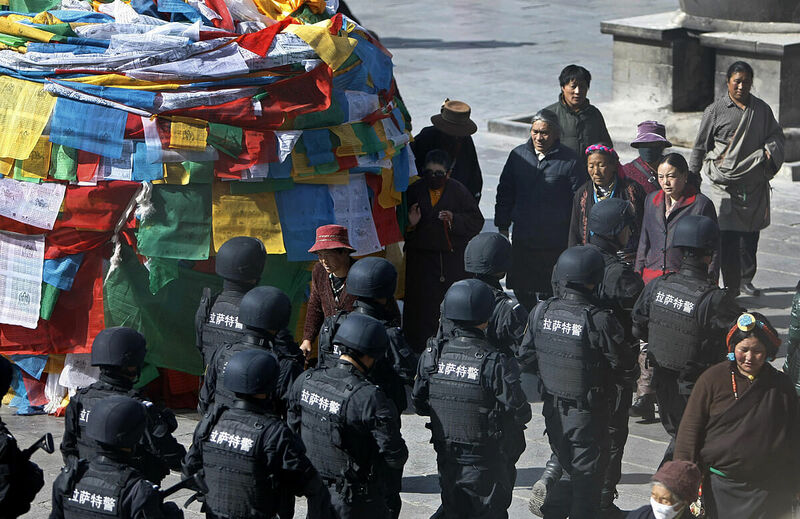 Proof that China’s regime is deeply fearful of the reality that Tibetans do not welcome China’s illegal occupation of Tibet. 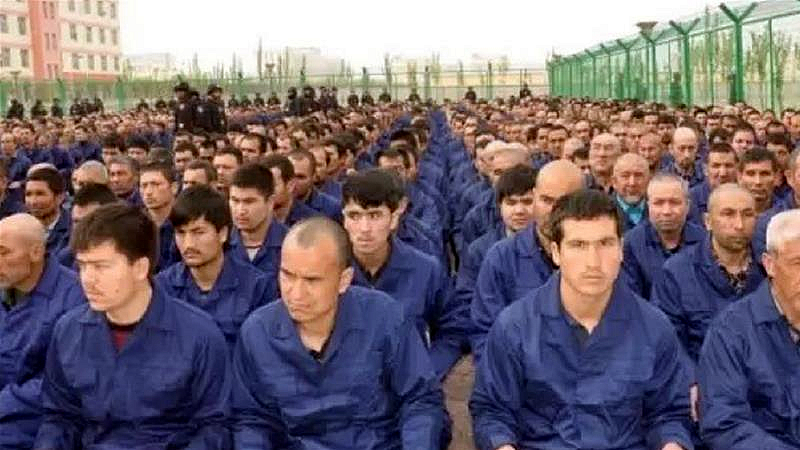 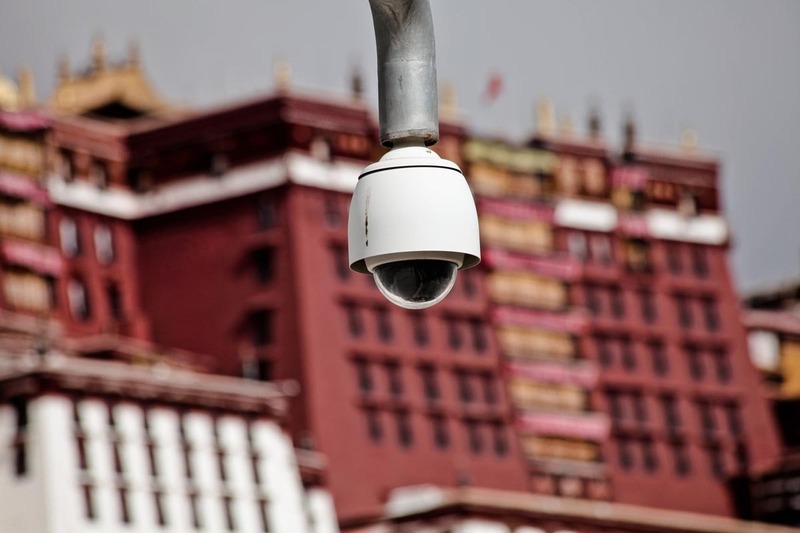 Reports coming out of Tibet on March 6 have detailed an intensification of so-called ‘security’ measures in Lhasa, Tibetan pilgrims being subjected to interrogation and detention. 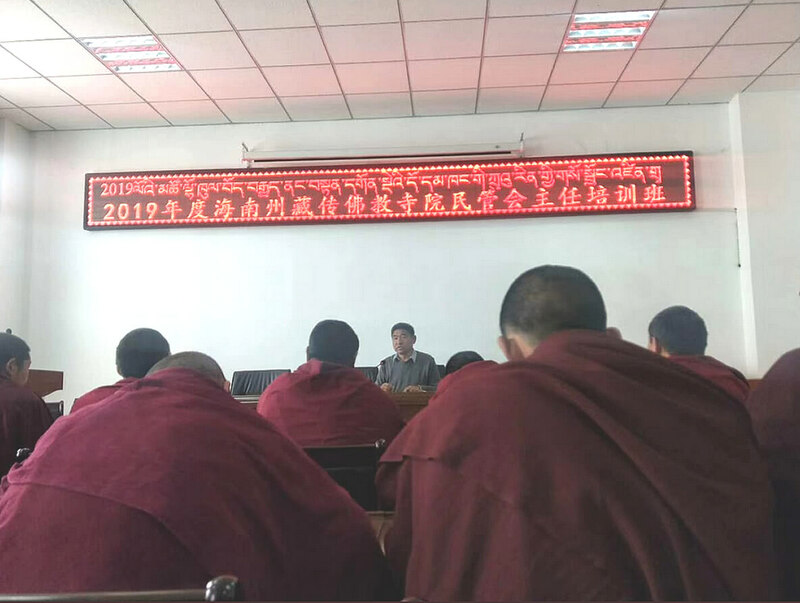 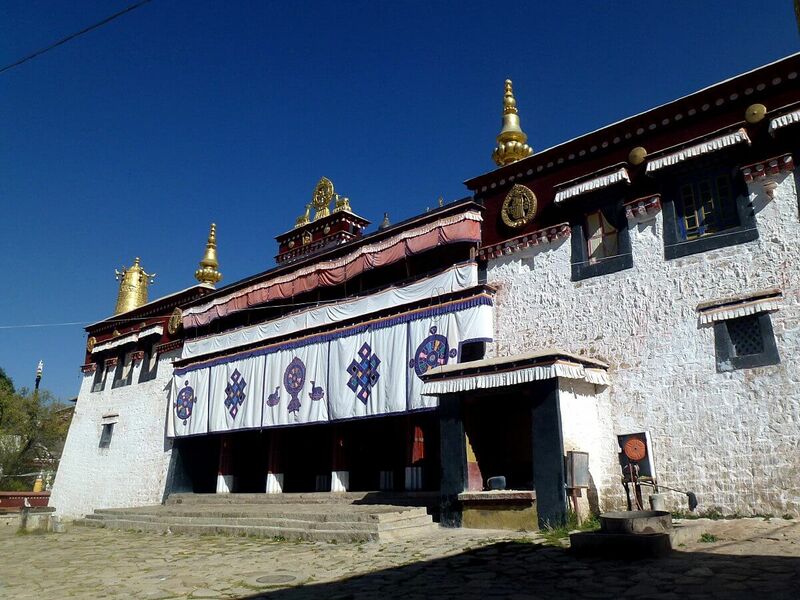 Another account from Derge (སྡེ་དགེ ) a town in Kham region of eastern Tibet reports that Tibetans have been denied any freedom of movement, even between local settlements. 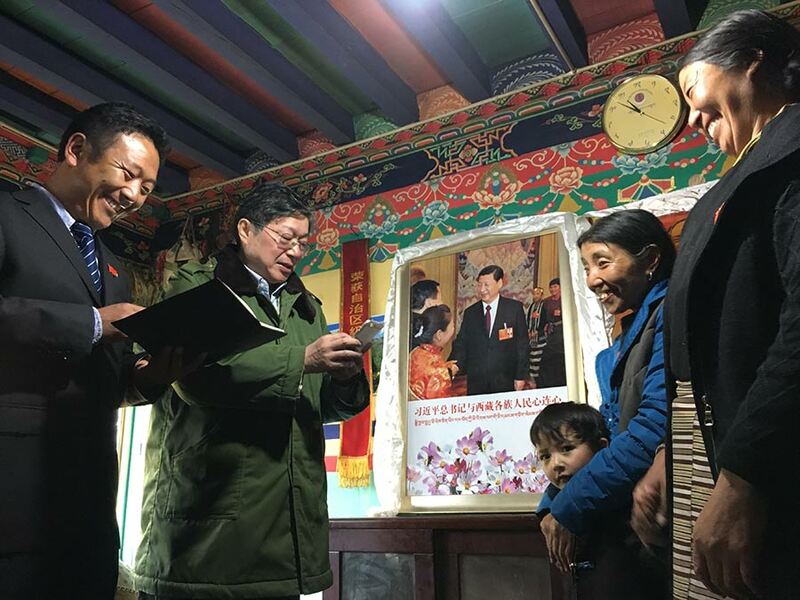 The Chinese regime has ordered Tibetans there to remain at home on March 10 and also shut down access to the Chinese chat application ‘WeChat’. 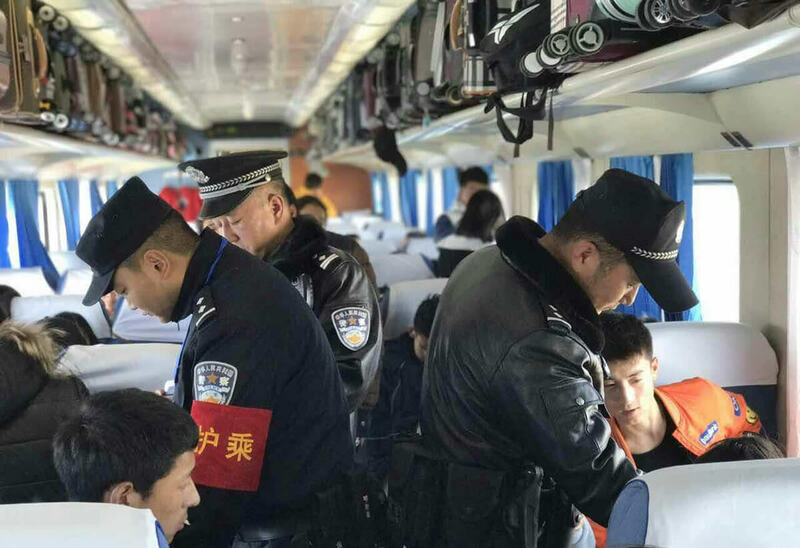 Such measures reveal the cold truth that haunts the anxieties of the Chinese authorities. 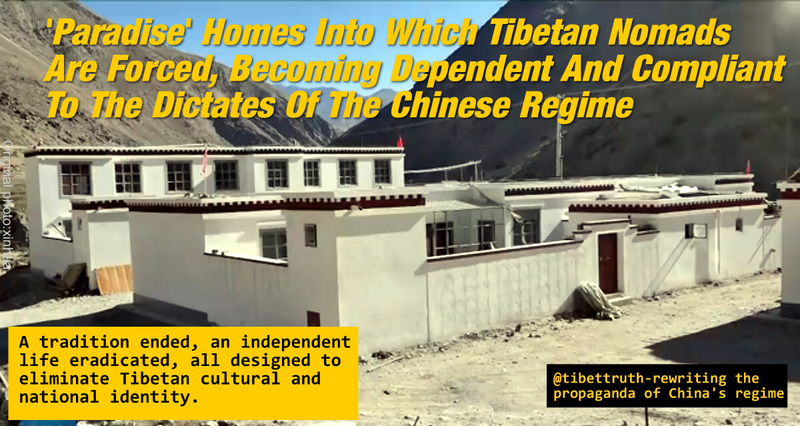 That its propaganda claims on Tibet are reduced to ashes by the fact that Tibetans do not wish to be under the control of China and seek freedom for their culture and nation. 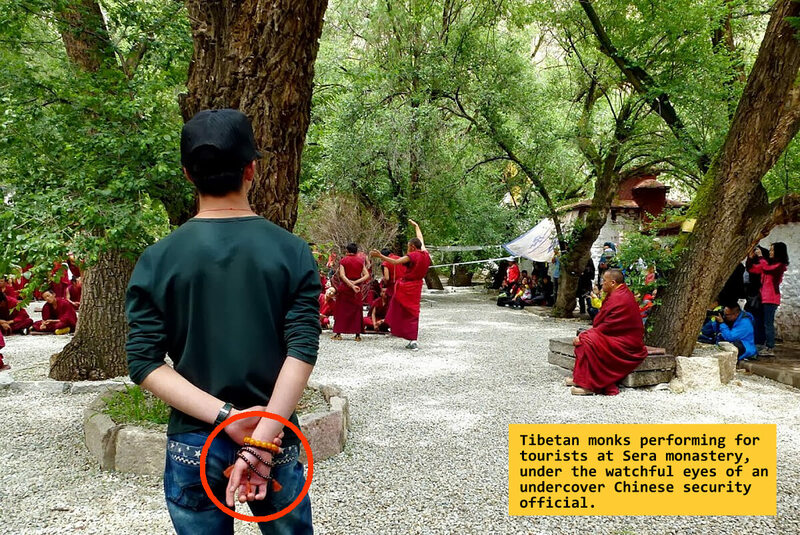 Reports coming out of occupied Tibet that Tibetans are being forced to prostrate to images of Chinese dictator and his politburo thugs. 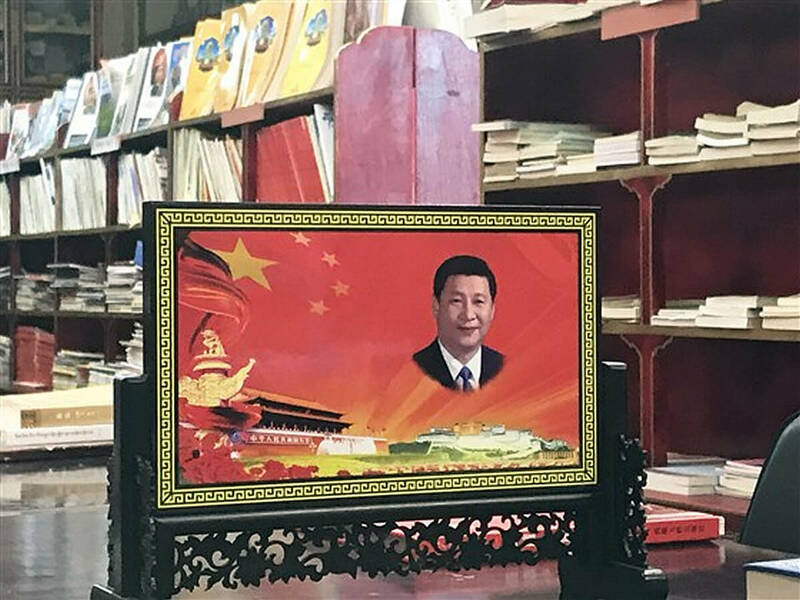 Domestic Shrines to Tibetan Buddhist deities and images of the Dalai Lama are being torn sown, only the political leadership of China’s regime is worthy of adoration. 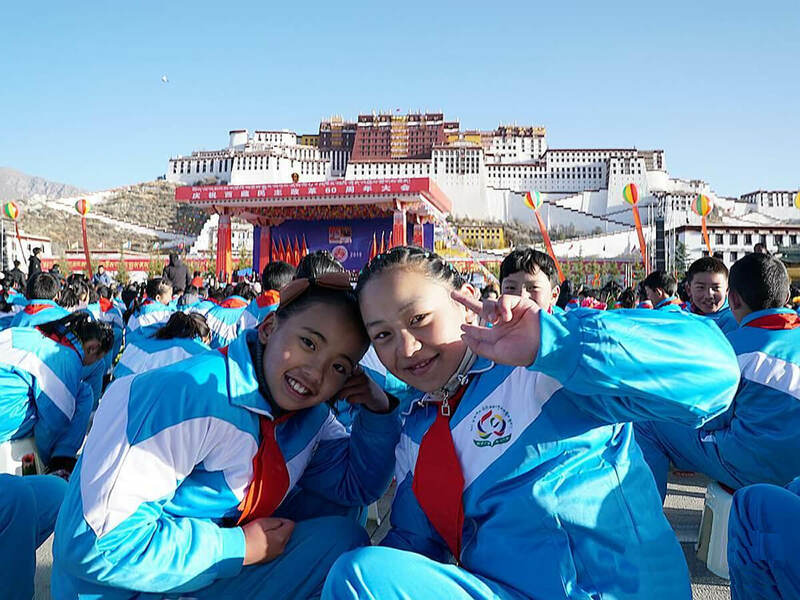 Of course as you can see from the photo above Tibetans are so contented and happy to make obeisance to the enlightened, all compassionate Xi Jinping!